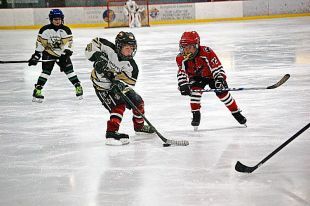 Ryan MacIssac of the Stephenville Jets handles the puck while Samuel Flower of Torngat Mountains Innu Hawks moves in on him during play. 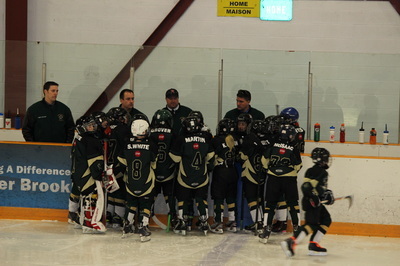 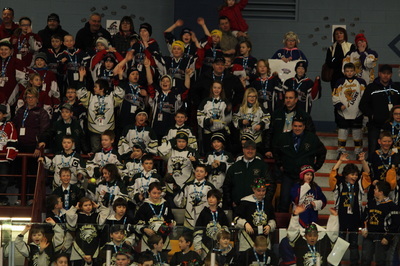 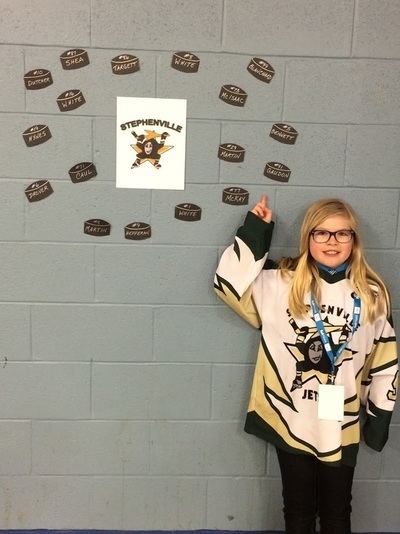 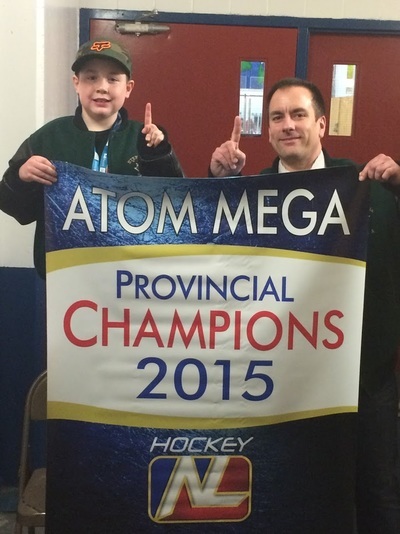 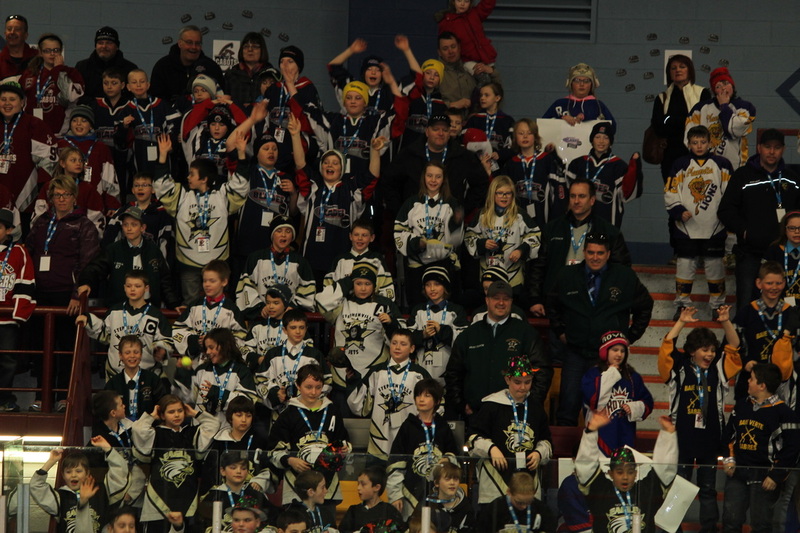 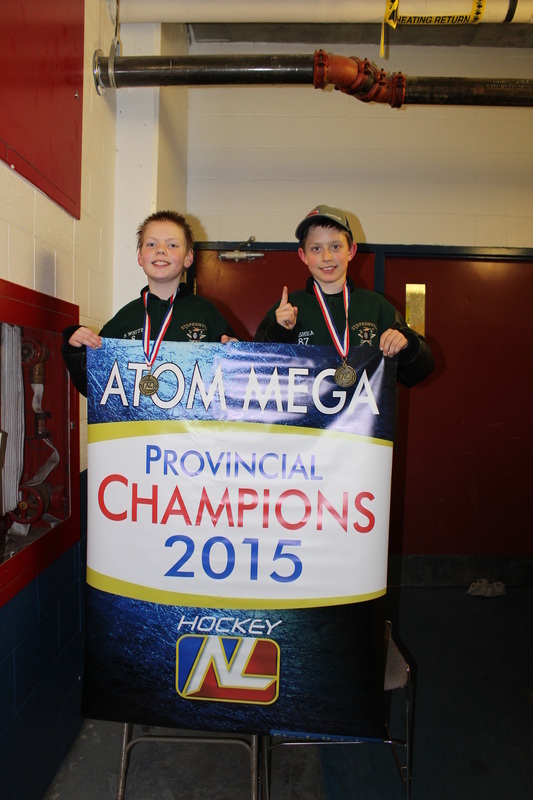 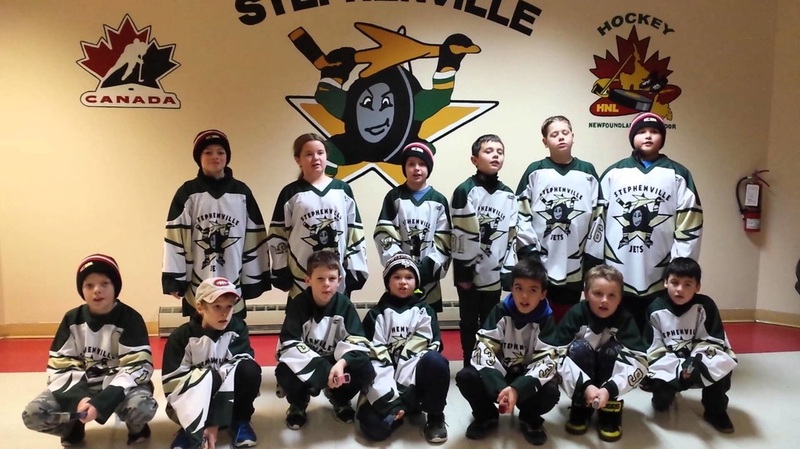 Congrats to Stephenville Atom A Jets. 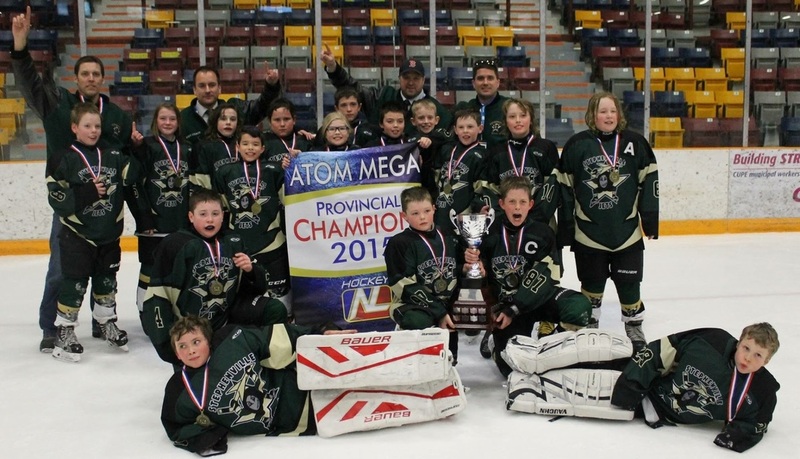 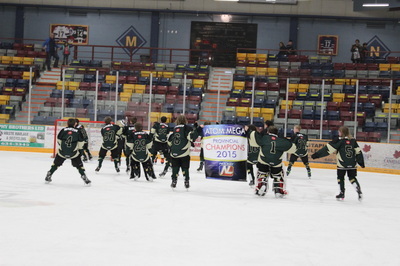 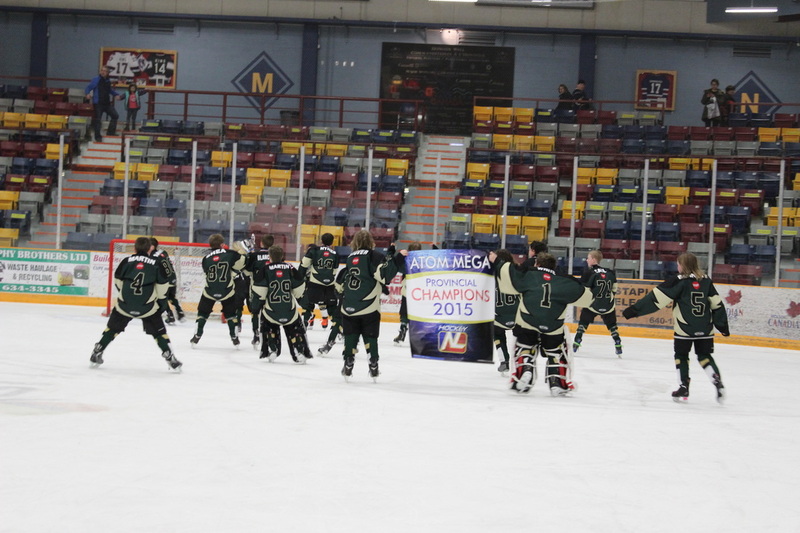 Champions of the Atom B Invitational. 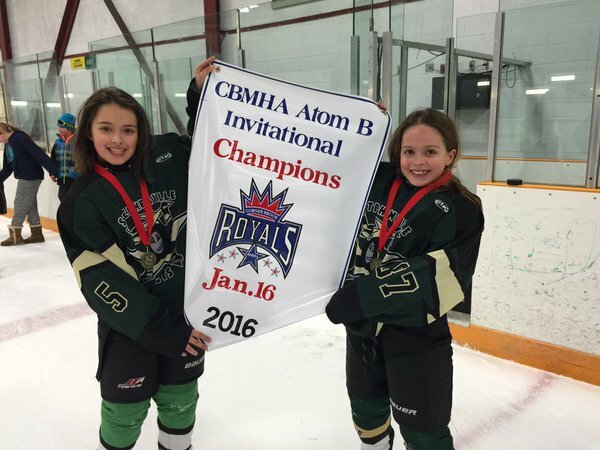 Proudly holding their banner are Paige Smith and Maria Shea.